United Nations (United States) (AFP) - South Sudan's rebel leader Riek Machar is planning to return to Juba in May under a power-sharing deal that a UN envoy said Tuesday offered the "best chance" of ending the war. "He told me that he is committed to coming back still at the end of May," Shearer told a news conference at UN headquarters in New York, adding that his return will mark a "critical juncture" toward setting up the transitional government. The peace agreement brokered by Sudan reinstates Machar as vice-president and is aimed at ending the brutal five-year war. "There are some tricky issues still to be resolved," said Shearer, who has been UN envoy to South Sudan since January 2017. "But it's an agreement that is there that we feel offers the best chance in a long while for moving South Sudan in the right direction." Shearer said security arrangements for Machar's return from Khartoum had not yet been decided. 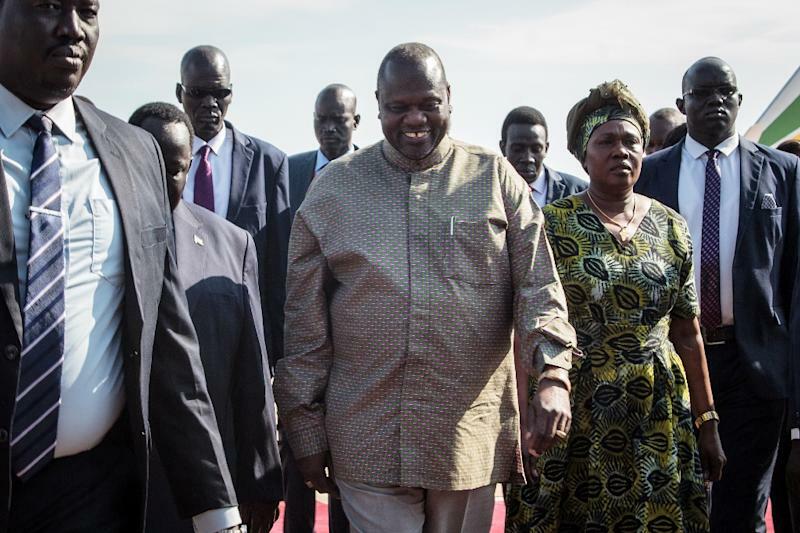 Machar briefly returned to Juba in October to attend a peace ceremony. Since the peace deal was signed, "fighting has diminished greatly", said Shearer, prompting many South Sudanese who have sought refuge near UN bases to return to their homes. The war has uprooted over one third of South Sudan's 12 million people and has seen horrific levels of sexual violence along with brutal attacks on civilians.